Explore the unique flavors of flowers. Elegant, edible flowers are becoming more accessible every day—and they taste as good as they look. This curated collection of 41 delightful recipes combine the playful creativity of fashion, the deliciousness of food, and the beauty of flowers in one gorgeous glass. Whether you're throwing a baby shower, hosting a Mother's Day brunch, celebrating a wedding, or simply entertaining guests, there's something for everyone, with our without alcohol, including: • Iced Lavender Café au Lait • Rose Petal Almond Milk • Dandelion Tea Cinnamon Cappuccino • Hibiscus Old Fashioned • Plum Rosewater Gin and Tonic • Orange Blossom Moscow Mule Learn how to create floral pantry item staples to create a scrumptious and sophisticated cocktail of your own, and embark on a new culinary adventure. This garden-party eye candy also includes practical tips on where to buy edible flowers, whether to choose fresh or dried flowers, how to grow edible flowers at home, and how to use florals in other recipes. 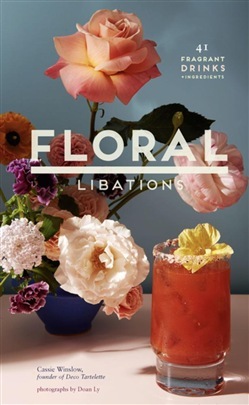 Acquista Floral Libations in Epub: dopo aver letto l’ebook Floral Libations di Cassie Winslow ti invitiamo a lasciarci una Recensione qui sotto: sarà utile agli utenti che non abbiano ancora letto questo libro e che vogliano avere delle opinioni altrui. L’opinione su di un libro è molto soggettiva e per questo leggere eventuali recensioni negative non ci dovrà frenare dall’acquisto, anzi dovrà spingerci ad acquistare il libro in fretta per poter dire la nostra ed eventualmente smentire quanto commentato da altri, contribuendo ad arricchire più possibile i commenti e dare sempre più spunti di confronto al pubblico online.